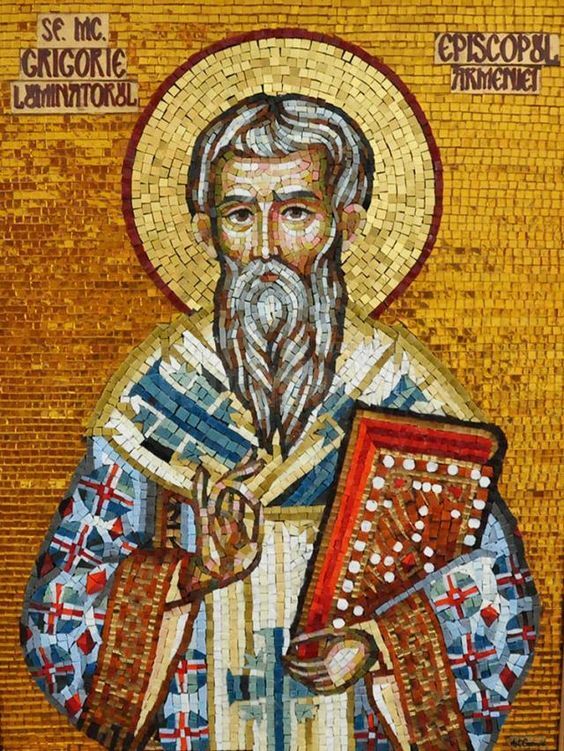 Today is the Feast of St. Gregory the Illuminator of Armenia. He was born in the middle of the third century A.D. His father, Anak, was part of a plot to take Armenian throne. He killed his kinsman Kursar but the plot failed. As a consequence, he and his entire line were sentenced to death. Gregory, however, was secreted out and was raised in Cappadocia as a Christian. He married, had two children and was widowed. Impelled to atone for the sins of his father, he decided to enter into the service of Kursar’s son, Tiridates. When it was discovered that Gregory was a Christian, he was tortured in various and heinous ways, but was steadfast through it all. At one point, he was thrown into a pit full of vipers. Thinking that was his end, his torturers left him for dead; however, the snakes did him no harm and for fourteen years he endured with the help of certain pious widows, who would lower bread into the pit. When it was revealed to Tiridates that Gregory still lived, he was released. Through his faith and preaching, the Armenians became Christian, including Tiridates. St. Gregory was ordained bishop and reposed in peace about the year A.D. 325. 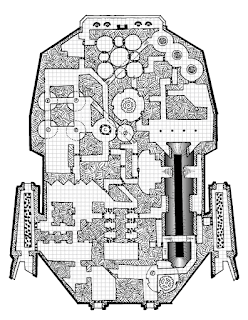 This story opens up the possibility of an interesting twist on the Abandoned Monastery Trope found in so many dungeon adventures: rather than a collection of caves or cells, the monastery would be filled with snake pits. This, of course, opens up all kinds of interesting themed ideas with creature favorites like yuan-ti and ophidians. And these signs shall follow them that believe…They shall take up serpents; and if they drink any deadly thing, it shall not hurt them; they shall lay hands on the sick, and they shall recover (16:17-18). Snake Companion: This companion is an intelligent and loyal creature that always has 1/2 the HD of the Cleric. The two can always understand each other (a Speak to Animals spell is necessary for anyone else to speak with the snake). The snake also has a special ability depending upon whether the snake is a constrictor or a viper. If it is a constrictor, it can Lay on Hands (Scales?) and heal up to 2hp per level of the Cleric. If it is a viper, it can cast a Neutralize Poison spell once per day; however, this spell does require 1 full turn to cast. Both of these abilities require that the snake be within 30 feet of the Cleric to use. Should the snake companion ever be killed, the Cleric immediately loses a number of hit points equal to that of the companion and it cannot be replaced until the cleric gains a level. In all other respects, these “Snake-pit” Clerics are the same as normal Clerics. Well, I just finished a week sans wife taking care of the kids by my lonesome. 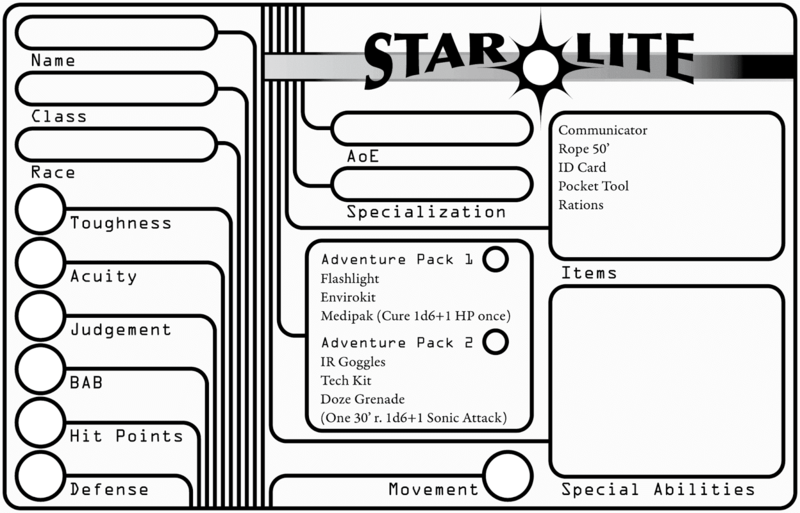 Thus, blogging became a very low priority; however, I do want to share the fact that I am working on an introductory adventure for Star Lite. Here is the map, enjoy! 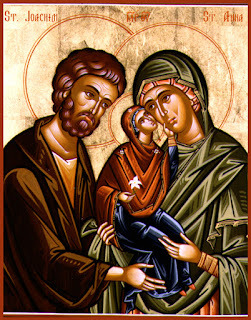 Today is the Feast of the Ancestors of God, Joachim and Anna. The title “Ancestors of God” is a title derived from the fact that they are the parents of the Virgin Mary. During the Christological controversies that arose during the 4th to 8th centuries, she received the title “Theotokos” which literally means “The Mother of God.” This all has more to do with Christ than Mary or her parents because both titles (Ancestors of God and Theotokos) speak to the fact that Christ is both God and Man from conception and thus speaks about the nature of Christ rather than anything about His mother or grandparents. For those who know their Scripture, Joachim and Anna are not mentioned anywhere in the Bible. Their story, and the story of the Nativity of the Theotokos (which was yesterday) appears in the Protoevangelium of James, a book known by most to be apocryphal. This, however, is a misnomer. There are many popular, early Christian writings that do not appear in the Bible because they either do not focus on the main point of the New Testament (Christ, HIs crucifixion and His resurrection) or are too far removed from the Apostles to be included. 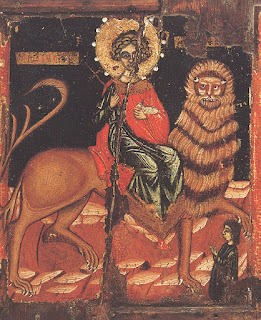 This can be seen in the fact that several of the Mariological feasts of the Orthodox Church refer to events in the Protoevangelium of James in the hymns surrounding these feasts. Joachim and Anna were old when they had Mary. Anna was barren and beyond child-bearing years when she miraculously got pregnant. This is another reason that these stories have not been rejected by the Orthodox Church: it follows a pattern found all over Scripture. Women in both the OT and NT who are barren and beyond child bearing years find themselves pregnant through the workings of God. Also missed by the modern world is the power women derive from chastity — the ability to manipulate men who want to have children by them. This power is emphasized by the fact that Theotokos is called Virgin before, during and after childbirth. The birth of Christ does not bring with it corruption (the physical damage that happens to women who go through childbirth). This offers some interesting fodder for world-building in a fantasy setting. There is a fantasy trope that ties spell-casting and prophecy with women and virginity. Those who have these powers lose them when they lose their virginity. This suggests a world where spontaneous arcane Vacian-like spell casting is only available to women who still have their virginity. Ritual magic can still be used by men and by all women and suggests the import of scrolls, wands, staves, potions and my interpretation of Magic Missile according to Holmes. Speaking of Holmes, his rules that 1st level magic-users can create scrolls becomes a model rather than an exception. This also explains why adventuring is incentivized: arcane spell casters need the various components necessary to create magic items. This understanding of arcane magic gives us leeway to make a starker difference between it and divine magic. Whereas the arcane is about ritual, magic devices and the need to be a female virgin to spontaneously cast, divine magic can forgo all of these things and offer spontaneous casting to anyone who takes on the mantel of “cleric.” This works especially well in context of a Christian/pseudo-Christian Church. Christ offers a radical equality to the world: His Body and Blood. With this brings a forgiveness of sin (that which separates us from God). Thus, corruption in context of wielding magic is healed and the mechanism for magic is the Holy Spirit rather than the innate power of the human body. Thus, the contrast, conflict and choice of arcane vs. divine magic largely pivots upon magic items vs. spontaneous casting if you don’t want to play a female virgin. You can download a copy here (this link has been updated). It can be downloaded as a .pdf here. Please consider this post an open thread on thoughts, criticisms, problems, etc. UPDATE: As I mentioned in the comments, once you release something into the public, all kinds of mistakes suddenly become visible that weren't before. Thanks to porphyre77 for pointing out a misspelling that was not caught by the spell-check and for suggesting a different font. I normally use the fonts I do in all the stuff I make for myself because not only do I find them pleasing to the eye, but they remind me of two of my greatest literary influences: HPL and CAS; however, I can understand how in this application it might not be the best choice for everyone. 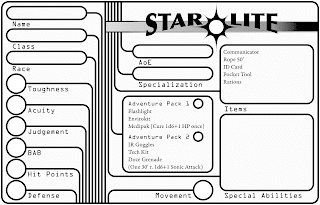 Therefore, for those who would prefer a font choice more reminiscent of the 1970s and the roots of our hobby I present to you a second layout with a few changes for space which can be found here. Today is the Feast of St. Mammas the Martyr. He was from Gangra of Paphlagonia, which is the north-central part of modern-day Turkey. His parents (Sts. Theodotus and Rufina) were both Christian and thrown in jail during the third century persecutions. His mother was pregnant and gave birth in prison just prior to her martyrdom. Having survived this ordeal, St. Mamas was adopted by a rich Christian widow by the name of Ammia. Therefore, he grew up in the faith. He was arrested at the age of 15 and after being tortured was rescued by an angel and sent to the wilderness. There, he built a church and attracted many wild animals as his companions. When his whereabouts were discovered, soldiers were sent to arrest him. Knowing his martyrdom was soon at hand, he voluntarily showed up at the gates of Caesaria with a lion that had been his constant companion in the wilderness. He was tortured and eventually mortally wounded by a trident. St. Mammas is a reminder that despite the popular depiction of environmental issues as outside the purview of Christianity and of nature-oriented classes as essentially pagan, one of the core missions of the Church is the sanctification of all creation. Therefore, classes like the Druid need not be understood as the pagan counterpart to the Christian cleric. Indeed, (as much as I personally don’t like the class), it makes more sense to me to have the Druid class operate under the umbrella of a fantasy version of Christianity. Arcane magic is a more natural fit for depicting the pagan counterpart of the divine magic of the Church. 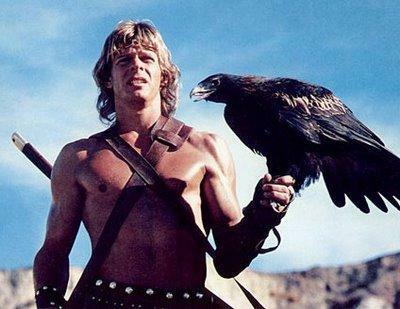 Beast Masters are those gifted with a special relationship with animals. 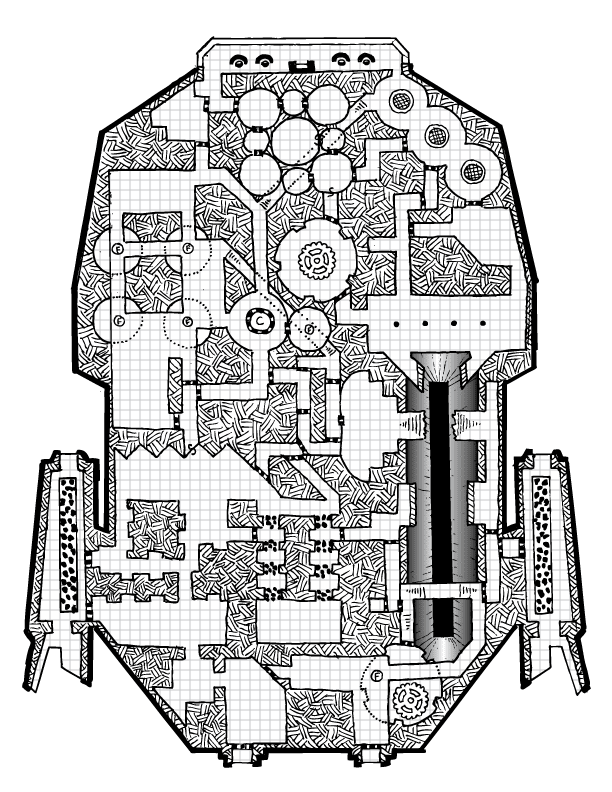 They can Speak With Animals at will, are able to identify flora and fauna on a 1-3 on a d6, have a +2 to all reaction rolls with normal animals, may take animals as henchman and have a special animal companion. This companion is an intelligent and loyal creature that always has 1/2 the HD of the beast master, can always understand the beast master and provides a +1 to all saving throws to the beast master as long as it is within 30 ft. Should the animal companion ever be killed, the beast master immediately loses a number of hit points equal to that of the companion and it cannot be replaced until the beast master gains a level. Beast Masters fight and save as fighters, may wear chain or lighter armor may use any weapon except for two-handed melee weapons and can cast spells as a Druid of 5 levels lower.